Blowing bubbles is not only a delightful activity for babies and kids, it also helps their development. And we all know that the longer bubbles stick around the more fun they are. 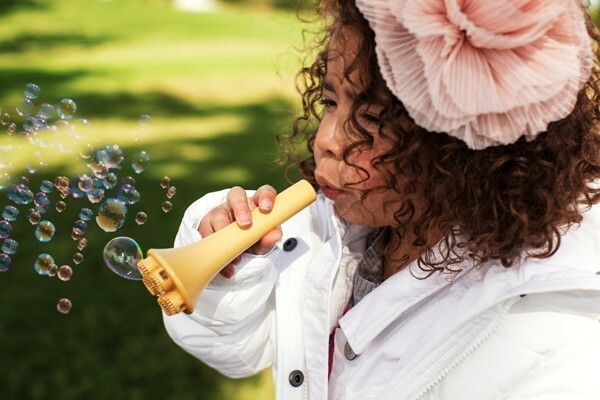 Meet Mother’s Corn bubbles: a non-toxic mix that blows touchable, stackable bubbles! Yes, Mother’s Corn bubbles stick around long enough for kids to play with them. 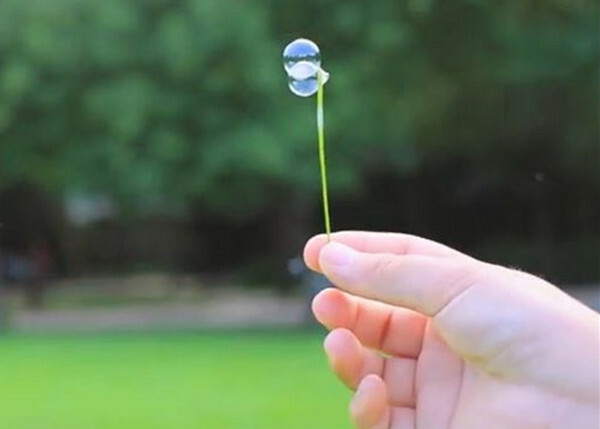 Touch them, hold them in your hand, stack them up to make a mega bubble tower. So many fun options. Babies and kids alike benefit from playing with bubbles: they help develop hand-eye co-ordination, both fine and gross motor skills, plus build the oral skills necessary for language development. That’s the science – but we all know the real reason we love to play with bubbles is because they look beautiful and are just downright fun! With Mother’s Corn the fun no longer ends as the delicate bubbles float down to pop on your finger. You can catch and collect your bubbles and even stack them up! Now a touchable, stackable bubble mix might sound like it contains some nasty chemicals but Mother’s Corn is made from a natural cellulose extracted from trees so it is non-toxic. The bubble blower and tray are made from corn starch – a fabulous alternative to plastic that is safe for baby and the environment. It also has a liquid reflux system that will stop bubble mix flowing back into your child’s mouth. Love that attention to detail. You can pick up one of these excellent eco-friendly and downright fun bubble sets online for $19.99 at either Littleville or Kidsberry. Or visit Mother’s Corn to find out more.